Sit out on our large balcony and enjoy the the view. 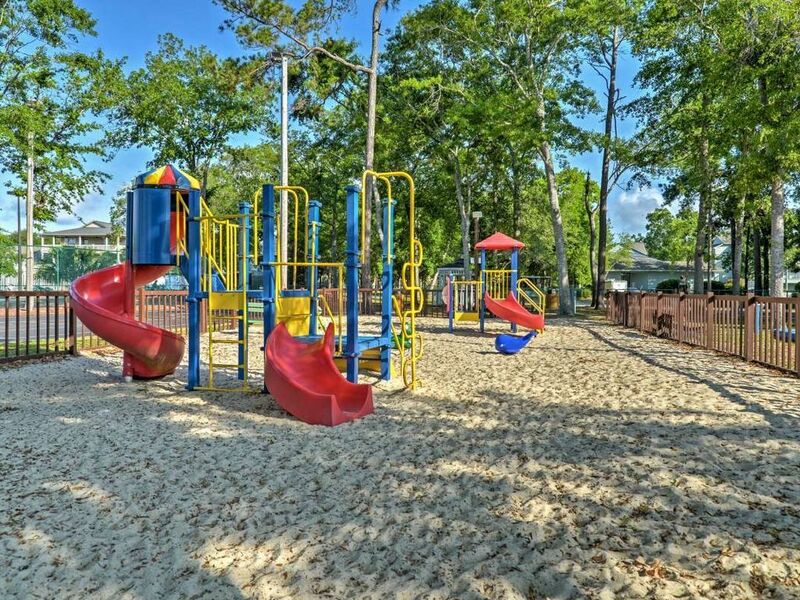 This is a great family resort with many amenities. 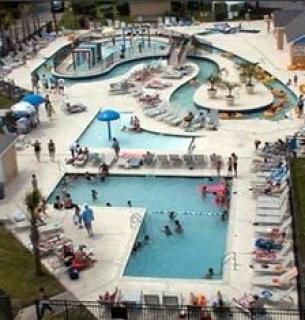 Your children will love the lazy river, kiddie pool and play area. There is a new LCD TV in the living room. There are TVs in the bedrooms. New ceramic top range and refrigerator. This condo was professionally decorated. None of the furnishings are the original. 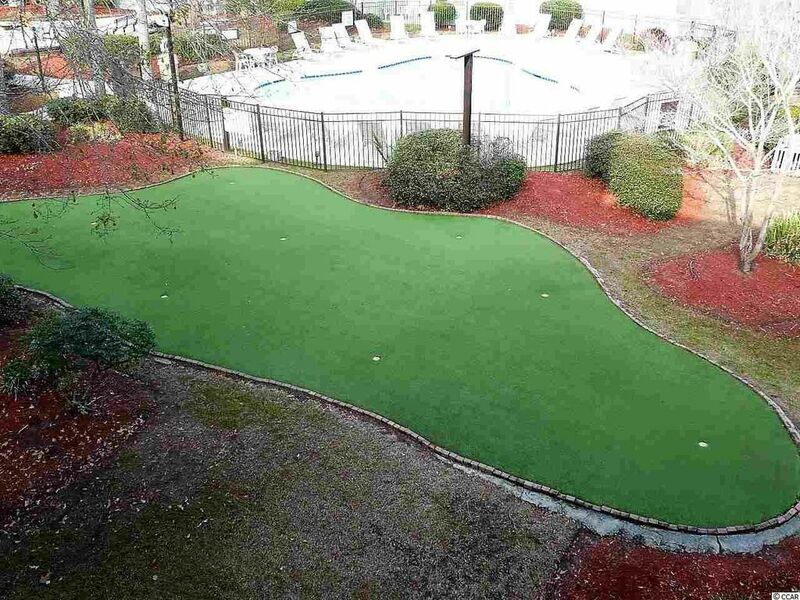 Our weekly rate includes everything (linens, taxes, exit cleaning, a parking pass, phone calls to U.S., Canada & Mexico, wireless internet service and use of all the amenities of Myrtle Beach Resort). There are no other charges. Condo is located halfway between the ocean and the lazy river. Take your family to the oceanfront cabana bar and grill and enjoy the music! 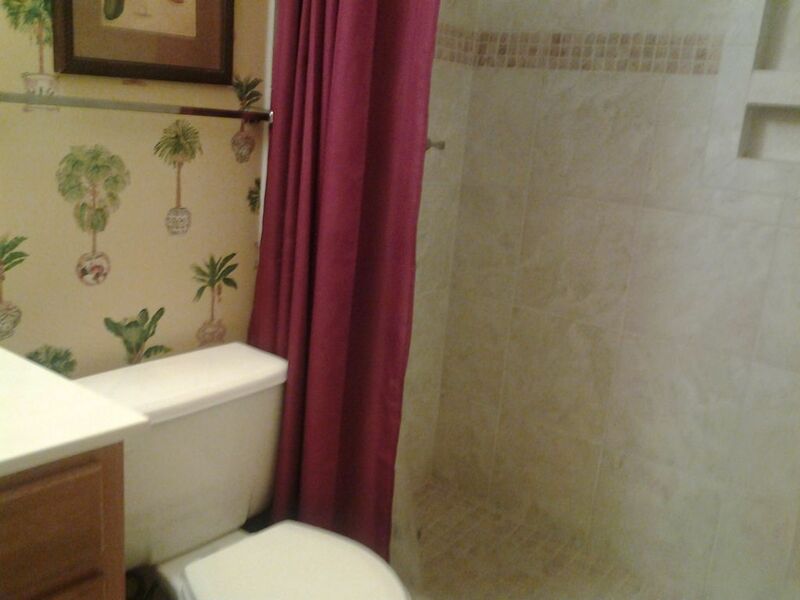 There is a queen bed in the master bedroom with an adjoining bath with full size fully tiled shower. 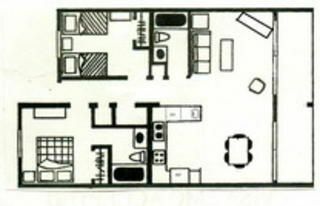 The 2nd bedroom has 2 twin beds and there is a roll-a-away bed that can be set up in the living room. The living room has a reclining sofa and a reclining love seat. 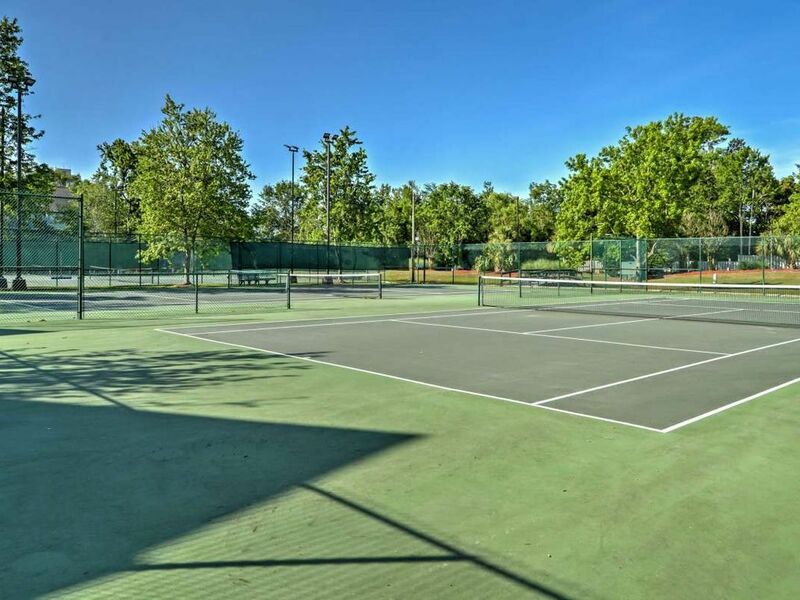 Between Memorial Day and September 15 we rent weekly, Saturday to Saturday. Contact us for more photos and any additional information. Downtown : Downtown Myrtle Beach is about 10-15 minutes away. 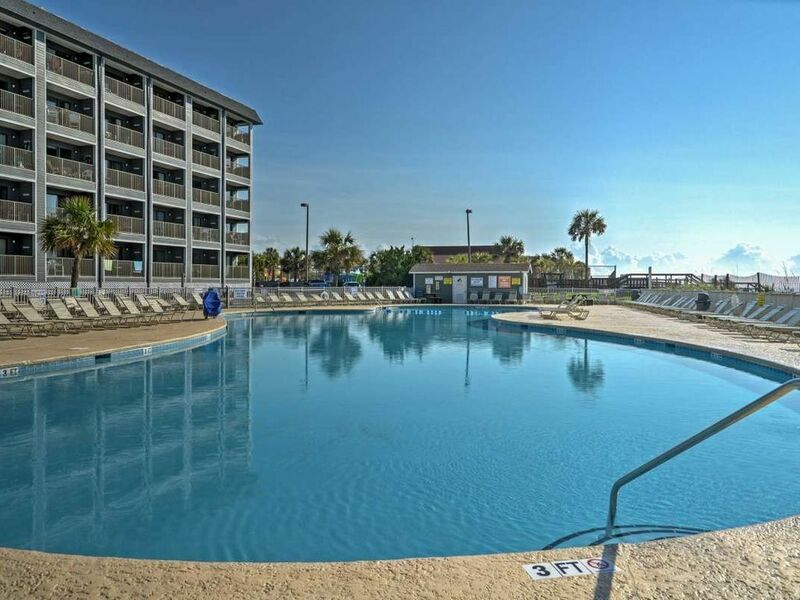 Stay at less congested Myrtle Beach Resort and you will appreciate the surroundings; yet you can visit downtown whenever you like. 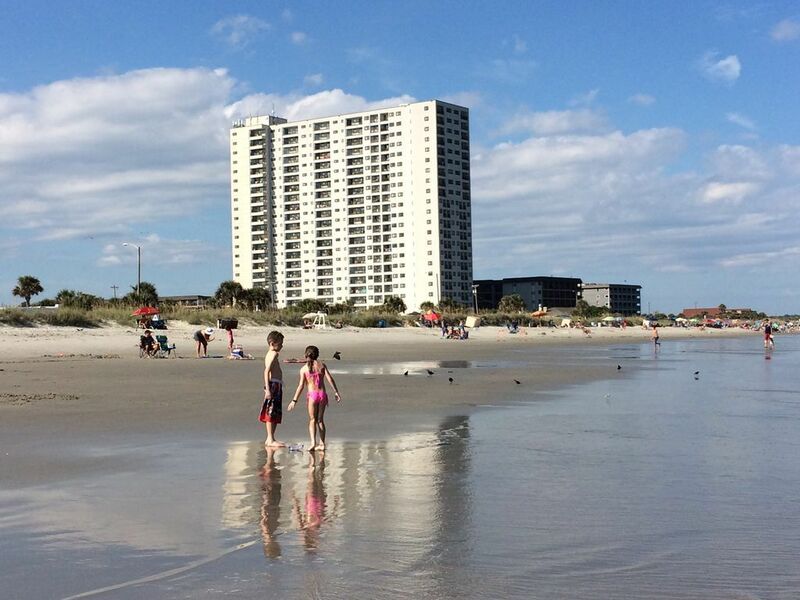 Oceanfront : Myrtle Beach Resort has 750 feet of sandy beach on the Grand Strand. There is also an oceanfront cabana bar and grill. 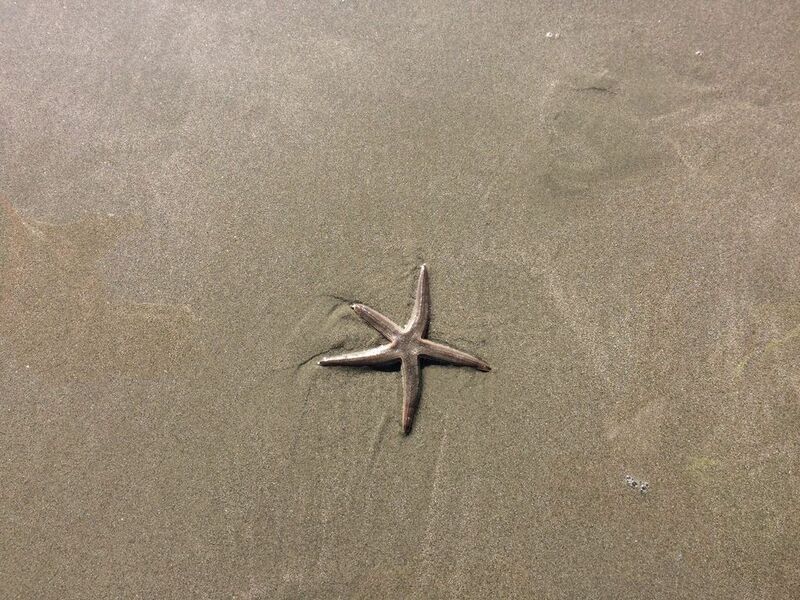 Near The Ocean : This is oceanfront. You are steps from the beach. 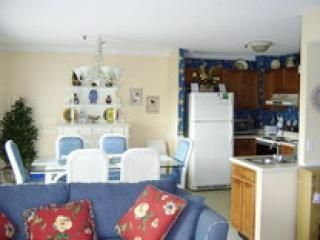 Ocean View : Condo is in 'B' Building which is an ocean-front building. Condo has an ocean view from the balcony and a partial ocean view from inside the condo. 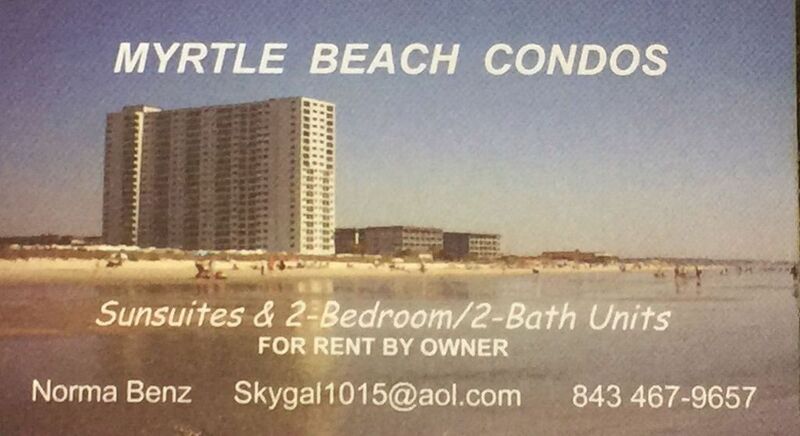 Check with us for our condo with full ocean view. 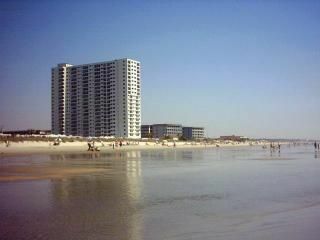 Waterfront : Myrtle Beach Resort is an oceanfront resort. 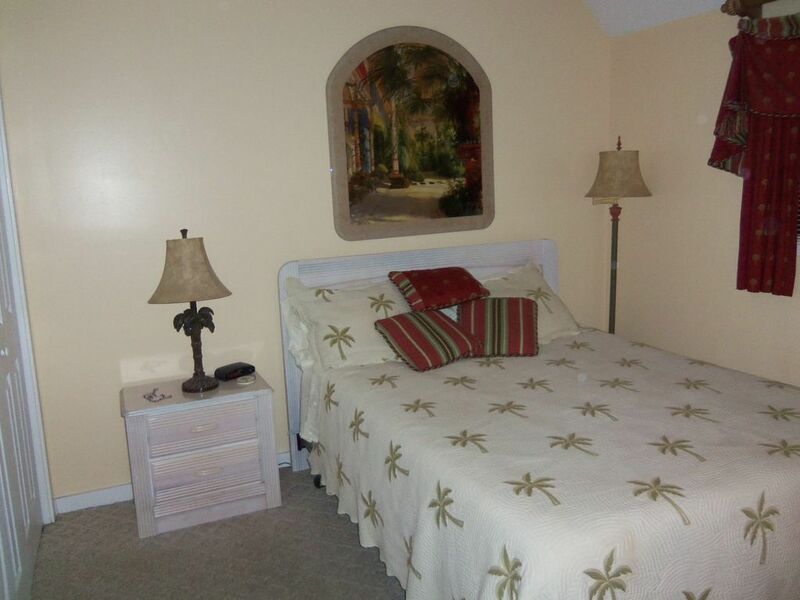 Linens $ 40 and exit cleaning $ 60 are included in our rate for your convenience. These items are optional and you should not wish to use them, the amounts may deducted from your total rental. In the summer we rent SATURDAY to SATURDAY only. If you elect to do your own cleaning, we will cash your security deposit check. If the condo is not cleaned thoroughly, (the bathroom includes a shower, toilets, microwave, range, oven, toaster, refrigerator, floors, glass tables, sliding doors, and furniture tops, dust, cost of cleaning will be deducted from your security deposit. No taxes if staying over 90 days. 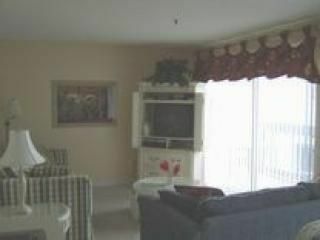 Very clean and up to date.wonderful Beach access and views.excellent food and music on the proprrty. Very clean and well maintained. Will highly recommend to my friends. Beds had new mattresses. 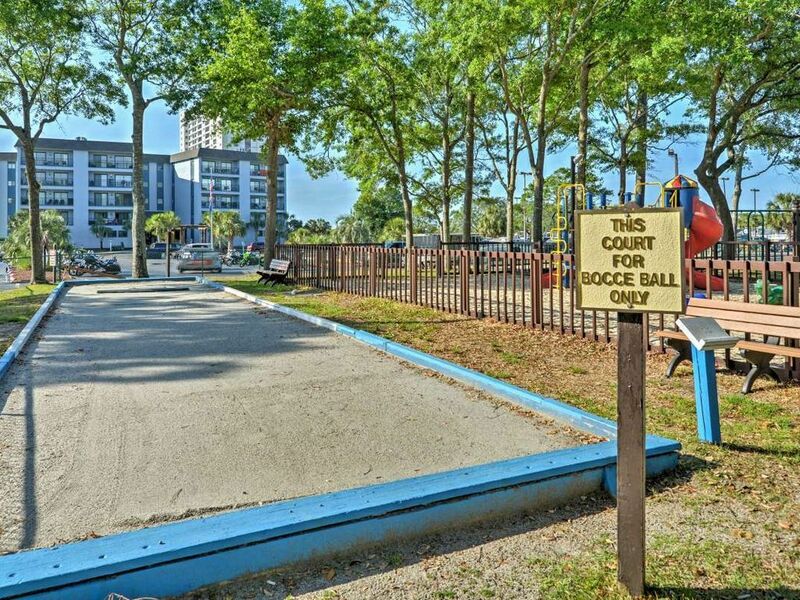 Resort had tennis, basketball, beach volleyball, bocce, oceanfront cabana bar & grill, exercise rooms, saunas, kiddie pool & water play area. Kitchen appliances were new. Condo has been well kept. We will be back next year. Many things to do onsite and close by. I stayed at this resort years ago and was happy to be able to come back. 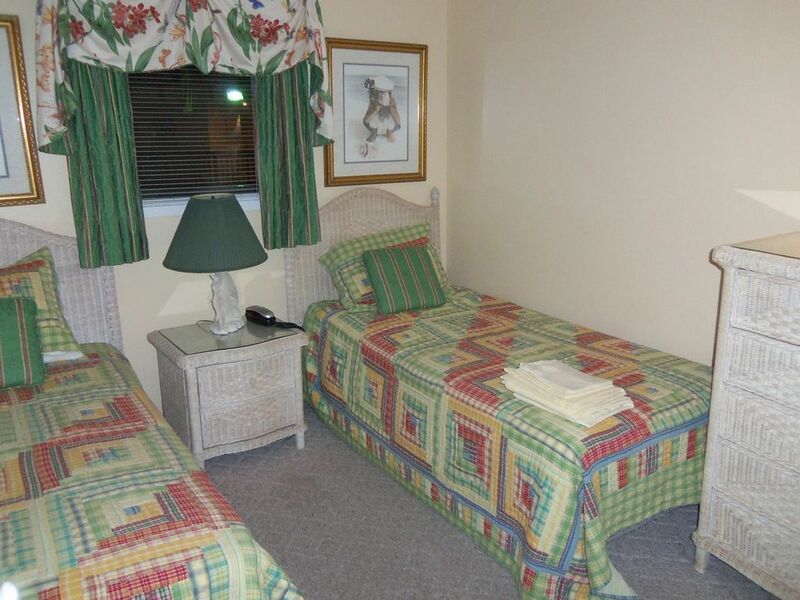 The rooms are perfect for a long stay. 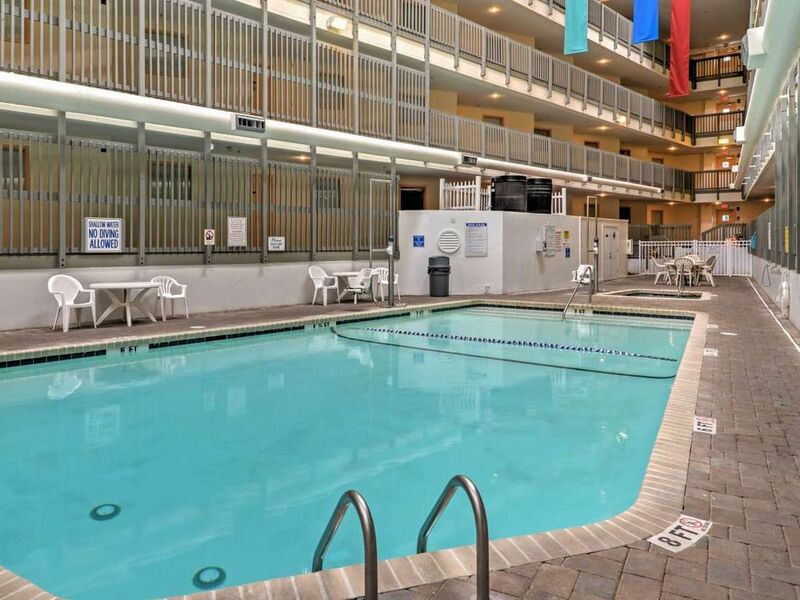 We stayed in building B and the indoor pool and hottub was right outside our room. The kids loved it and wanted to stay in that pool the whole time versus going out on the beach..lol. The condo had everything that we needed and the only issue we had was that there wasn't really any hot water in the master shower. Other than that, it was perfect. Our stay was great. The resort had plenty for us to do! We love MBR. Norma was great to work with. The accommodations were nice and the condo was easy to keep picked up and clean. The decor was nicely done but a little dated. 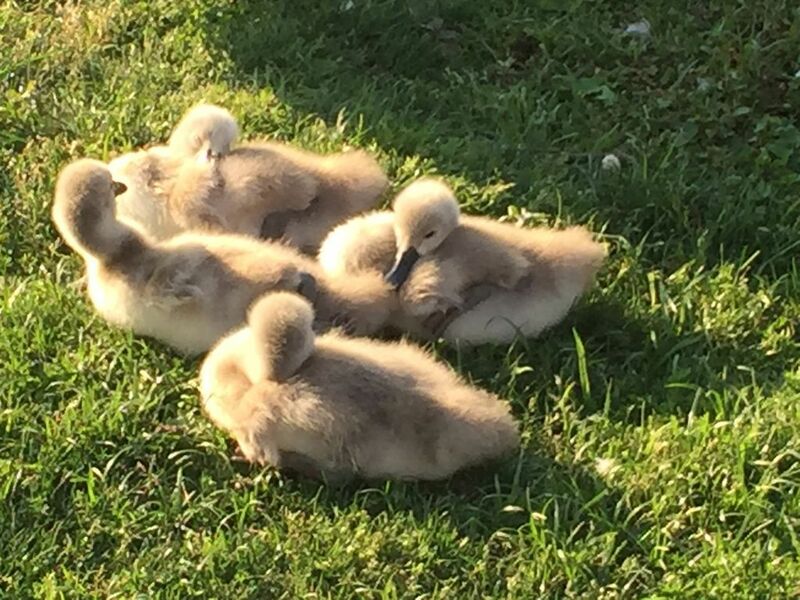 The only downside was that the sleeper sofa could use a new mattress. That said, we still enjoyed the space and would definitely rent again. The condo B246 was great! It was so clean and beautifully decorated. Norma is great! The condo was in the perfect location. There was a Wal-Mart right across from the resort. We got some groceries and everything else was there for us to use! It was plenty big for our family to all have our own space. Smart tv in living room and bedrooms, which was nice to watch Netflix. The balcony was huge and nicely decorated. She had chairs and beach toys there to use. Short walk to the beach. Our view was nice! It was a short drive to all the attractions we wanted to do. Overall, it was great! Hope to rent this condo again! Thanks Norma! Norma Benz 8434679657 Show Phone No.